The American Soybean Association (ASA) is expressing frustration about the escalation of a trade war with China. 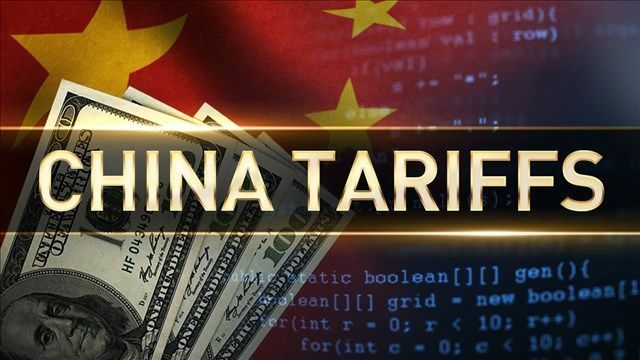 On Wednesday, China issued a $50 billion list of U.S. goods - including soybeans - for possible tariff hikes in an escalating dispute. China, the largest customer of U.S. soybeans, announced a proposed tariff of 25 percent on imported U.S. soybeans. According to ASA, China purchases 61 percent of total U.S. soybean exports, and more than 30 percent of overall U.S. soybean production. “This is no longer a hypothetical, and a 25 percent tariff on U.S. soybeans into China will have a devastating effect on every soybean farmer in America,” Heisdorffer said. The knee-jerk reaction in Chicago has been drastic, with soybean prices on the Chicago Mercantile Exchange dropping 50 cents overnight, and falling another 30 cents Wednesday morning. China’s tax agency gave no date for the increase to take effect and said that will depend on what President Donald Trump does about U.S. plans to raise duties on a similar amount of Chinese goods. “We call on President Trump to engage the Chinese in a constructive manner—not a punitive one—and achieve a positive result for soybean farmers,” said Heisdorffer. The United States shouldn't of took advantage of it's world reserve currency status the last 40 years and printed 70 trillion worth of in house credit market debt . It wouldn't be going bankrupt now and have a trade problem. If you have a neighbor that's broke all the time and don't pay his bills do you line up to do business with him ? Most would say NO. So why would you do business with the USA. Trump can't print anymore fiat and he is using Mafia tactics against the world and the world ain't taking his BS anymore. Utopia is over in the United States. Let Trump be Trump. He is only trying to keep his campaign promises. Does one really think China will for very long limit themselves to one soybean supplier (South America)? If they do, South America will set the world price, and it will be a significant premium over what would be normal. I don't think China will be that stupid. If China buys all the South American beans, the U. S. will sell theirs to those unable to pay the higher prices South America has now reaped. Higher prices for all???? ?